There’s no escaping our emotions. Whether we like what we feel or not, we’re emotional creatures. Daniel Goleman’s book, The Brain and Emotional Intelligence, explains how emotions are an intricate part of decision making. Our first reaction to any event is always emotional – tapping into our brain’s limbic system. 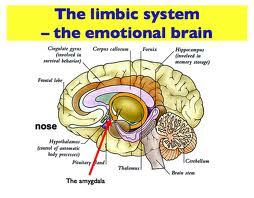 The limbic system is the area of the brain that regulates emotion and memory. It directly connects the lower and higher brain functions. It influences emotions, the visceral responses to those emotions, motivation, mood, and sensations of pain and pleasure. What if we can create new habits by “re training the limbic system?.” And by doing so, optimize positive emotional memories and actions. Read the article!